After leaving the convent she had assumed would be her home forever, Bethany Castillo found herself adrift: partially estranged from her parents, and unable to muster the courage to live her life as an out lesbian. 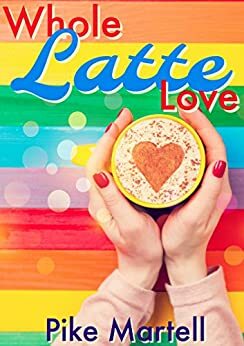 Until a simple 'now hiring' sign in front of a new café reunites her with her childhood best friend, Devon Roché, and she finds the spark her life was missing. But will sparks be enough to overcome their pasts, meddling relatives, and overdue bills? A nice story and a good start I feel for the series. I will say I felt a lot was glossed over or not really fully addressed which kinda left a lot open when this first book ended. I felt like pretty much nothing was really solved and the one problem that was solved was solved so quickly and without much discussion that it didn't have that full impact. Regardless, I really did enjoy it and look forward to reading more in the series. I wanted to give it 3.5* but I just couldn't bring my self to round up. So, I'll follow what some of my Good read friends do and give it a 3.4*. A coming out story is always full of heartache and this book is no different except for how quickly it got to the point. Bethany and Devon are great together. It was nice to read that with all her fears of region and family, Bethany ran towards love of God and her heart not away. 4.0 out of 5 starsVery cute romance! This is more like 3.75 stars rounded up. It's a quick read and is very sweet. I read the whole thing in a sitting and found myself smiling through a lot of it. I enjoyed the characters and will happily read about them again when the next instalment in the series comes out. This was a cute story about reconnecting with your childhood crush. It also addressed issues of coming out to your family and dealing with religion . I really enjoyed this story. Devon and Bethany were both quite likable and the addition of religion into Bethany's situation/life was an interesting difference from other stories. Overall a light, fun read. I look forward to the next one.